Homepage. 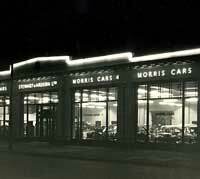 This page: Original paperwork used by this large Morris dealership, and a night-time photo in the 1950's. Stewart and Ardern Limited 1929. Thanks to Les, who sent this item of paperwork over. 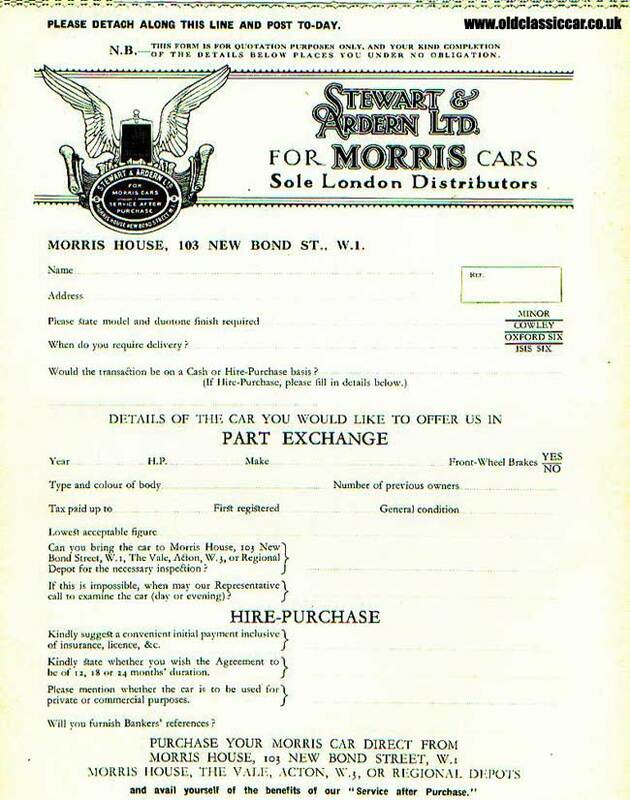 It is a part-exchange agreement form, dating to 1929, used by well-known distributor for Morris cars Stewart & Ardern, who were located on New Bond Street, London. This interesting snippet of ephemera, would have been used by customers of this London garage, who were part-exchanging their old car against a shiny new Morris. It seems that this distributor was the sole agent in London for Morris Cars, so they were obviously of great importance to William Morris' empire. Note the lovely stylised logo, in the form of a winged radiator. New models listed on the right, include the recently-launched Minor, Cowley, Oxford Six and Isis Six. The customer would specify the new car they wanted, its duotone paint finish, and when they needed it by. They would then go on to list details of the old banger they wanted to part with - the earliest cars didn't always have four wheeled braking systems, hence the question 'Front-Wheel Brakes - Yes/No'. The punter would also have the option of bringing their car to Morris House, 103 New Bond St., W1, or The Vale, Acton, W3, or failing that a regional depot, for inspection. If none of these options were convenient, the dealer representative would call (day or evening) to inspect your car. Do motor dealers go to these lengths now? Finally, the would-be purchaser could opt for Hire Purchase - a credit system enabling the cash-strapped motorist to perhaps afford a new set of wheels after all. Stewart & Ardern were the largest purveyors of Morris cars in England, with ten motor outlets dotted around the South East. Stewart & Ardern - Acton Head Office in the 1950's. 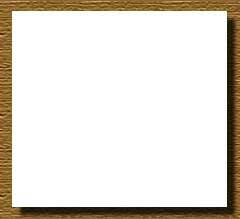 The photo shown below turned up some time after Les' item of paperwork was published on the site. 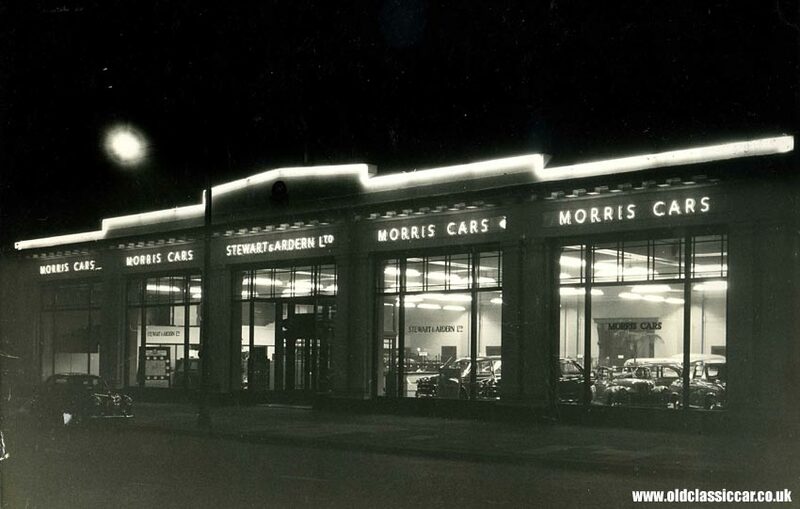 Unlike that snippet of Stewart and Ardern memorabilia, this is very much a post-war image, well into the 1950's in fact, taken at night and demonstrating the newly-installed neon lighting. Passers-by at night were left in no doubt that this was a Morris Cars dealership, and a representative sample of Morrises is visible in the window - I make out a pair of Minor Travellers, a saloon, a rare Morris Oxford Traveller (with its saloon counterpart also in evidence), and a split-screen Minor tourer. Another product of BMC, this time an Austin A30, can just be seen parked outside, beneath the street lamp. A note on the back of this photo advises that this was the Stewart & Ardern Head Office & Works, in Acton.